Lashbrook Designs - an American made success story. 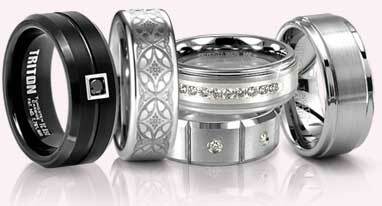 Distinctive rings and wedding bands made of modern metals in contemporary designs. And made in America. Customization is Lashbrook's specialty. Want to create a unique wedding band? Your imagination is the only limit to what your ring can be. 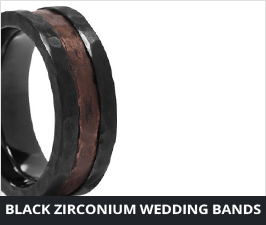 Experts in titanium, zirconium, cobalt, meteorite, damascus steel and solid black diamond bands. Combining these materials with precious metals and diamonds, or gemstones. It's no wonder that Lashbrook rings are the hottest wedding band for men now. Not sure which type of wedding band is right for you? 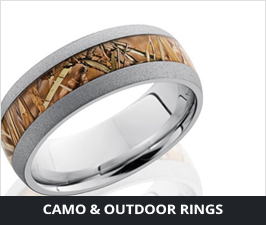 These men�s ring styles from Lashbrook Designs are a great place to start your search. 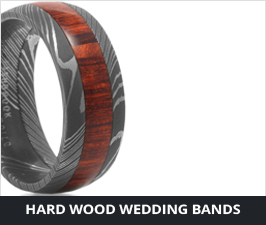 Because this American designer uses a variety of materials to create stunning and unique wedding bands, you can easily contrast and compare various styles and designs. 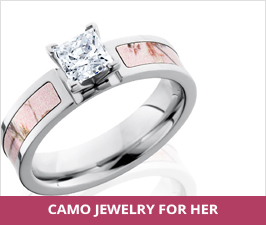 You may even discover a completely unfamiliar type of ring you hadn�t considered before. Whether you want something simple, sleek and minimalist or an intricate design with lots of luster and shine, Lashbrook Designs likely has a look that�s right for your personal style. 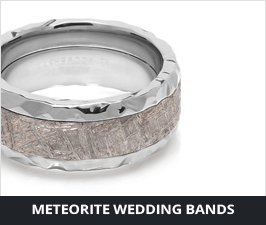 When Lashbrook Designs was founded in 2000, there were pretty slim pickings when it came to wedding bands. Longing to find a unique offering for engaged couples, founder Eric Laker started crafting custom titanium wedding bands. 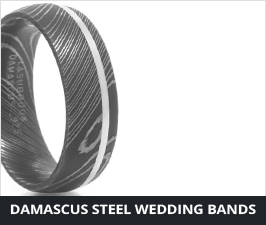 From there, the collection expanded to include a variety of metals, including tungsten, Damascus steel, Elysium, carbon fiber, cobalt chrome and black zirconium. Special features are included in many rings as well, whether it�s an inset diamond, a colorful inlay or a touch of authentic meteorite stone. 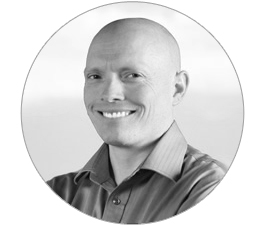 Today, there are tens of thousands of different models available from Lashbrook, all of which are produced in a state-of-the-art facility in Utah. 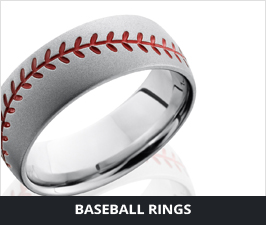 That includes custom men�s rings that can be designed according to your specifications. 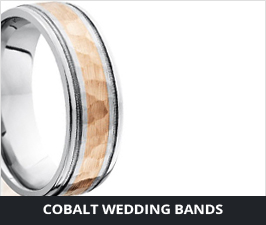 Don�t blend into the crowd when choosing a wedding band. Instead, find something that reflects your style and makes you feel proud to wear it day after day. Because Lashbrook rings are made with modern metals like cobalt, zirconium, Damascus steel along with precious metals. 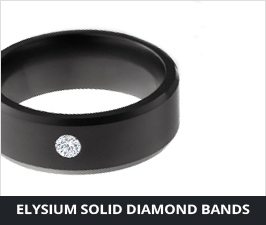 They�re made to last a lifetime and endure the typical wear and tear of a wedding band with ease. That means your Lashbrook ring will look great for decades to come. 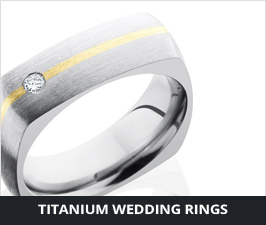 Get yours from Titanium Jewelry to enjoy a 30-day money-back guarantee with your ring purchase. Give us a call or send us an email. 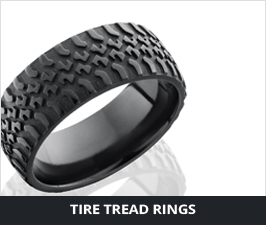 Let us help you with your Lashbrook ring. Want to learn more about this American jewelry designer/manufacturer? Read the story about Lashbrook Designs .